Five Garrett County men were arrested after officers uncovered deer poaching activities that began in 2016 and continued into this year. Tyler Michael DeWitt, 21, of Swanton, was cited for 30 violations that could lead to a total maximum fine of $45,500 and revocation of his hunting privileges for up to five years. He is accused of hunting during a closed season, possessing of deer in a closed season, hunting deer at night, hunting deer with a spotlight, shooting from a vehicle, hunting without written permission, removing the head or hide of a deer before check-in, failing to report a turkey kill, and obstructing or hindering a police investigation. Dakota Lee Hinebaugh, 29, of Oakland, was cited for 24 violations that could lead to fines totaling $39,500 and revocation of his hunting privileges for up to five years. He is accused of hunting without a license, hunting during a closed season, possessing of deer in a closed season, hunting deer at night, hunting deer with a spotlight, hunting without written permission and removing the head or hide of a deer before check-in. Michael Allen DeWitt, 42, of Oakland, was charged with obstructing and hindering a police investigation and littering after his son, Tyler, warned him in April to throw away packages of deer meat and antlers kept at the senior DeWitt’s home. He could be fined $1,500 and be sentenced to serve 30 days in jail. Donald Lee Hinebaugh Jr., 41, of Oakland, received citations for failing to report two deer kills and aiding and abetting hunting without a license. He faces a fine of up to $1,500. Phillip Lyle DeWitt, 58, of Mount Lake Park, received citations for failing to report a kill and failing to record the kill on his Big Game Harvest Record. He could be fined a maximum of $3,000. 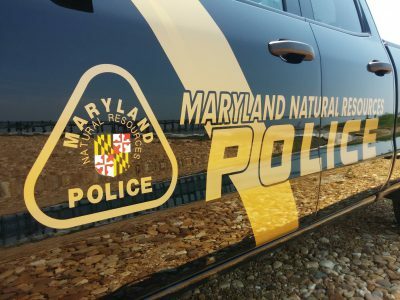 In connection with the investigation, Maryland State Police charged Lukas Isaac Holler, 18, of Oakland, and James Wesley Lewis, 19, of Accident, each with possession of a rifle or shotgun after conviction of a disqualifying crime and illegal possession of ammunition. The weapons charge carries a maximum penalty of three years in prison and a fine of up to $1,000 fine, and the ammunition charge carries a maximum jail sentence of one year and a fine of up to $1,000. The investigation revealed that DeWitt and Hinebaugh engaged in night hunting on several occasions from roads in southern Garrett County. The other men were implicated in the activities. In April, officers searched an area near Graham Road and found about a dozen deer carcasses dumped over the embankment. Some of the heads of the carcasses had the skull plate/antlers removed while antlered deer with small racks were intact, a common practice among “trophy” hunters. Trial dates in Garrett District Court are pending. A Washington County man was charged last Friday with multiple counts of illegal deer hunting after a citizen reported hearing gunfire near his Clear Spring home. Jeremy Tyler Gardner, 26, of Hagerstown, was charged with hunting while intoxicated, hunting with a light, shooting across a road, having a loaded weapon in the vehicle, hunting on private land without written permission and hunting coyotes in a closed season. Gardner also was charged by Maryland State Police with driving while intoxicated. A trial date in Washington District Court has not been set. If found guilty of all charges, he could be sentenced to serve up to one year in prison, pay up to $10,500 in fines and have his hunting privileges revoked for up to three years. A Virginia man was arrested for boating while impaired Aug. 5 on Deep Creek Lake in Garrett County. Timothy James Mueller, 29, of Ashburn, was stopped at 10:30 p.m. after officers noticed his boat’s running lights were not lit. He failed field sobriety tests and registered a blood alcohol content of 0.15, almost twice the legal limit of 0.08. Mueller received four citations and is scheduled to appear in Garrett District Court on Sept. 20. The charges carry a maximum fine of $2,500 and up to a year in prison.